James Gillray, The Plumb-Pudding in Danger, hand-colored etching, London, 1805. 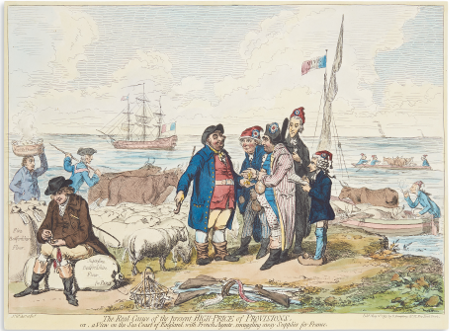 They come from the period when Gillray was at the height of his powers, between 1793 and 1809, when post-Revolution France and the rise of Napoleon created a febrile atmosphere among politicians, the aristocracy and the public across the channel in England. Leading the selection at Swann Auction Galleries’ Maps & Atlases, Natural History & Color Plate Books auction is possibly Gillray’s most famous cartoon of all, The Plumb-Pudding in Danger, from 1805. 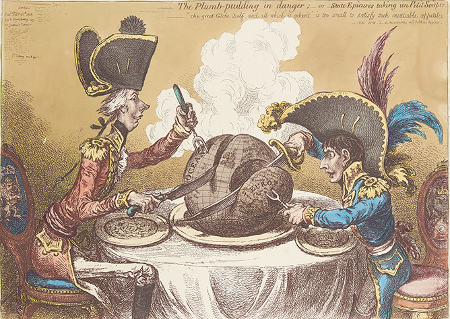 Depicting the British Prime Minister William Pitt and Napoleon carving up the globe, in the form of a plum pudding, it shows how Gillray developed the concept of the caricature by exaggerating his characters’ physical attributes: the extreme thinness of Pitt and the beaky nose of Napoleon. The estimate is $5,000 to $7,000. Accompanying it will be 11 other Gillray etchings focusing on a range of current affairs, from the French Revolution itself and the guillotine to the hypocrisy of politicians, as evidenced in the 1805 coalition. 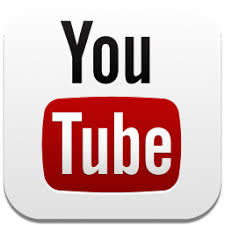 Estimates range from $1,000 up to $2,500. Other highlights in the sale include a hand-coloured plate from John James Audubon’s Birds of America, London 1830 at $30,000-50,000 and an album of watercolour drawings dating to 1854, thought to have been sketched first-hand by an English serviceman during the Crimean War as he travelled the Mediterranean towards the Dardanelles (Estimate: $2,500 to $3,500). 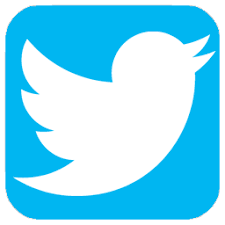 Swann Auction Galleries is a third-generation family business as well as the world’s largest auction house for works on paper. In the last 75 years, Swann has repeatedly revolutionized the trade with such innovations as the first U.S. auction dedicated to photographs and the world’s only department of African-American Fine Art. More than 30 auctions and previews are held annually in Swann Galleries’ two-floor exhibition space in Midtown Manhattan, and online worldwide. Visit swanngalleries.com for more information.